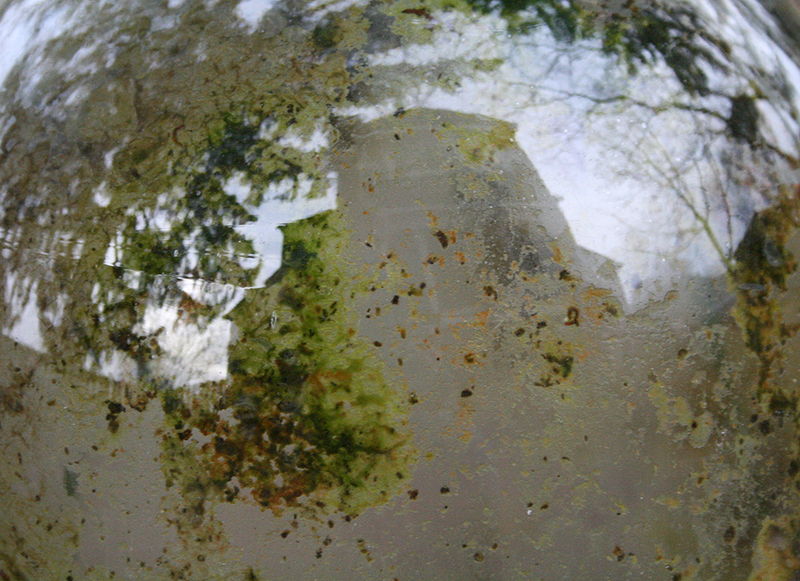 The house reflected in an algae covered cloche. 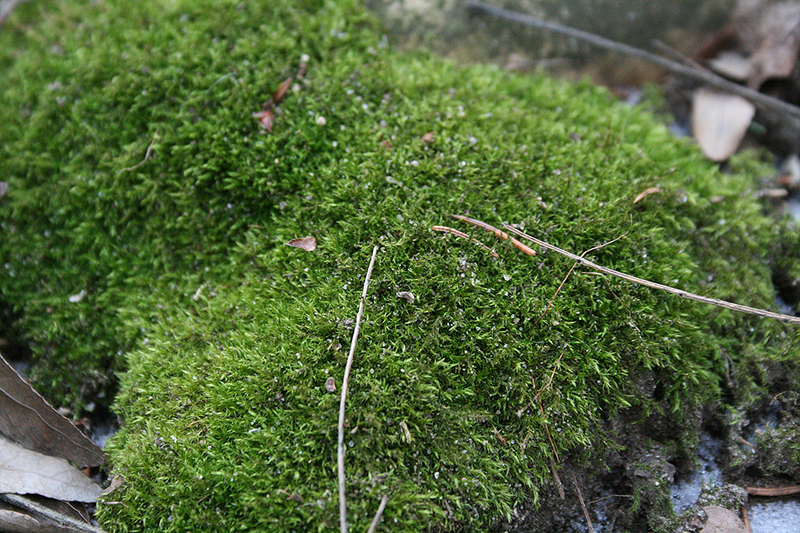 Moss, which piggybacked from the Bruce Peninsula many years ago on some rocks. 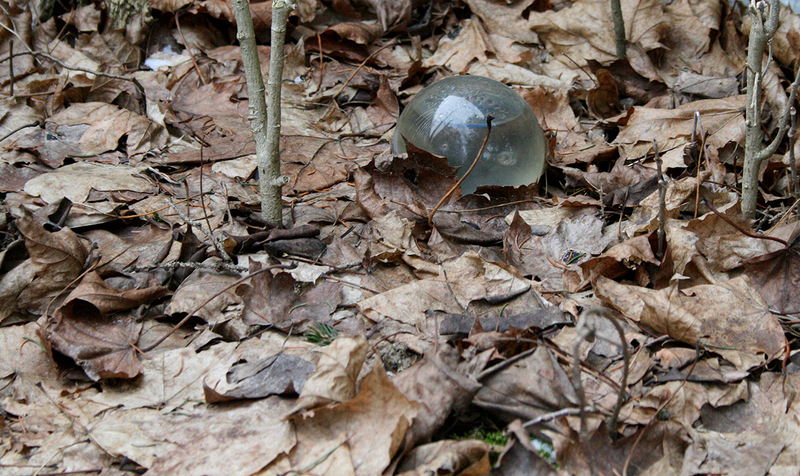 This lost ball looks like some giant frog’s egg! These are some photos from my garden: winter textures. Ontario winters are starting to feel like English winters. Normally the snow would be a deep blanket but as you can see, far from being dormant, the garden is alive in myriad small ways.